We all love some good denim. However, actually finding said good jeans is low on our list of hobbies. Simply the thought of going jean shopping sends shivers down our spine. Maybe it's the long hours spent scouting for the ideal fit that wouldn't require going to a tailor, debating sizes because no brand is alike, or the act of actually trying them on, but jean shopping is mentally and physically exhausting. But there's a better way. If you're on the hunt for your next pair of jeans, there's no need to go through all those waves of anxiety, because we've searched the best denim brands for every body type so you don't have to. 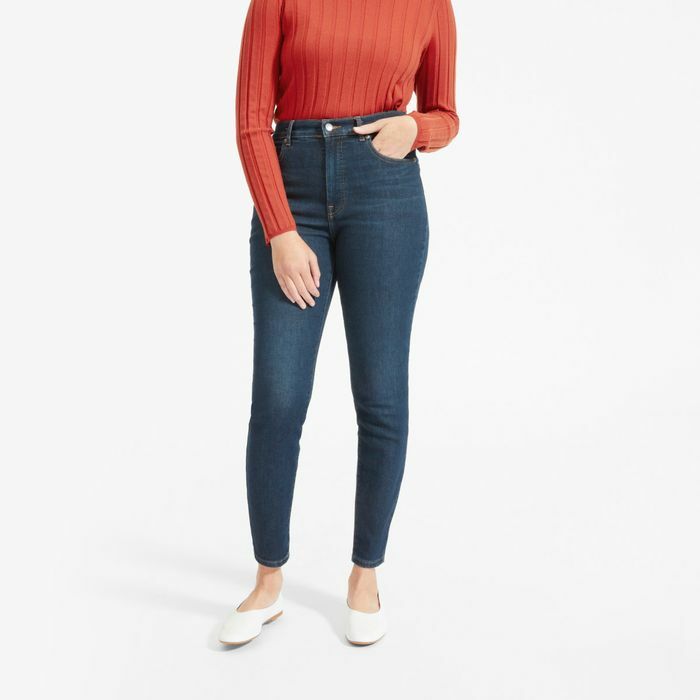 From the best petite brand out there to labels that carry a wide range of sizes, finding the next pair of jeans you'll wear nonstop can be on the top of the list of enjoyable tasks to do. You just have to know where to go. In other words, say goodbye to the 15-tab browser. Whether you want wide-leg jeans, classic straight jeans, cropped jeans, ribcage jeans, you name it, ahead find five brands that have it all and then some. Everlane is a fashion favorite for various reasons, one of which is that most of its denim comes in both regular and tall sizes. This summer, Madewell began selling its extended sizes to a 23-to-37 range. Levi's jeans will forever have a place in our hearts—and closets. If you want classic denim and like a good straight fit, these jeans are for you. Born two years ago, Warp + Weft is on a mission to shake up the denim industry, taking attention to detail to a whole new level by fit-testing its size 00 to 24 jeans on at least 20 models with different body types. Grlfrnd jeans are cropped at the ideal length for petite women. In other words, there's no need to go to the tailor. Next up: When scouring through these brands, don't make these denim mistakes.